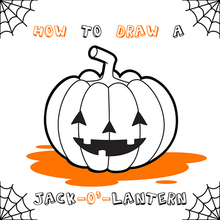 Bats are iconic halloween creatures, so let's try to draw one! 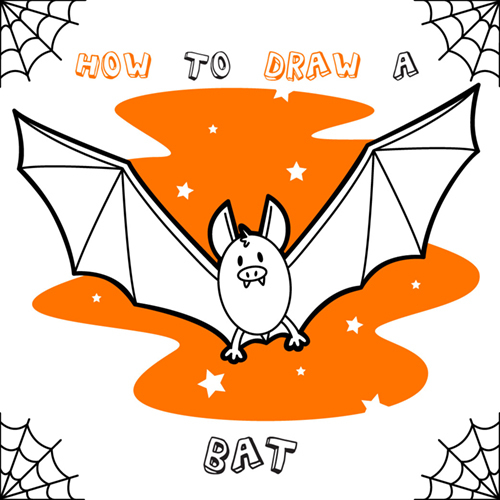 This tutorial will try to teach you how to draw a happy, flying bat. 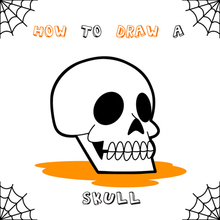 This step by step guide on HelloKids will help you to make your Halloween a little bit more spooky! Have Fun! 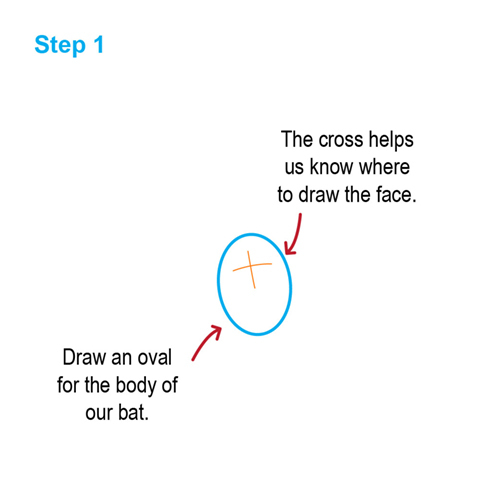 Draw an oval for the body of our bat. The cross in the middle helps us know where to draw the face. 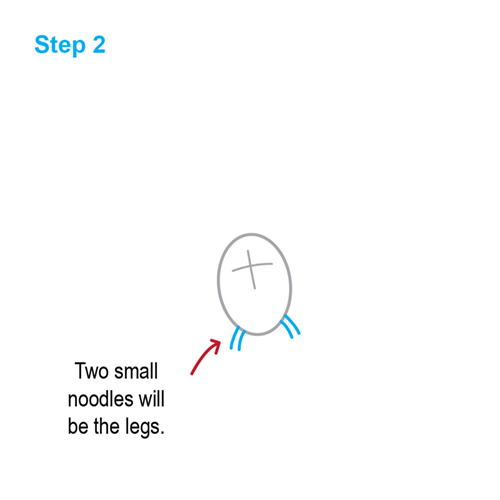 Two small noodles will be the legs. 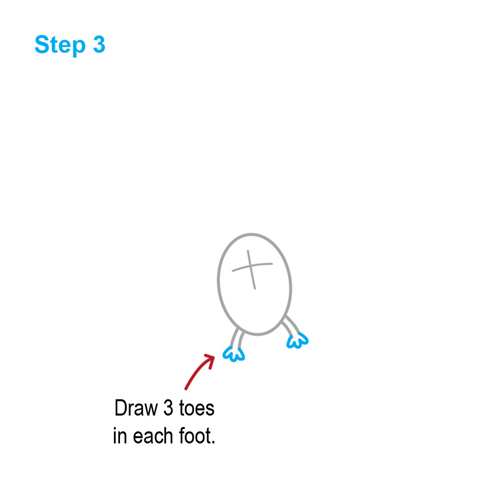 Draw three toes on each foot. 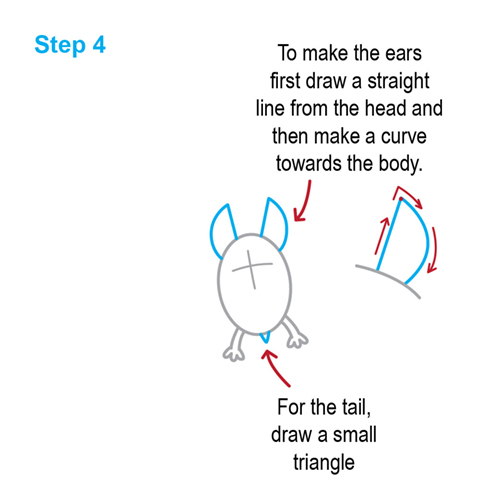 To make the ears first, draw a straight line from the head and make a curve towards the body. For the tail, draw a small triangle. Add another straight line inside of both ears, to mark the inside edge of the ears. 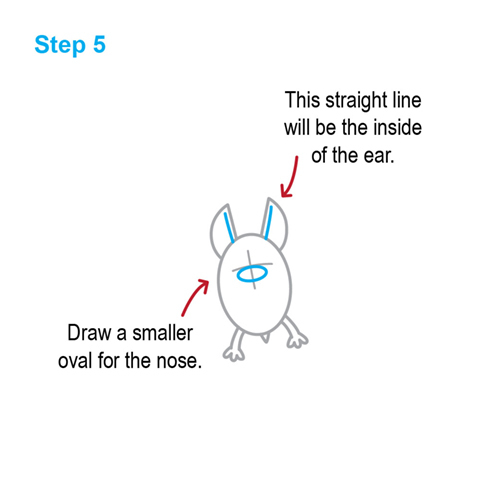 Draw a smaller oval for the nose. 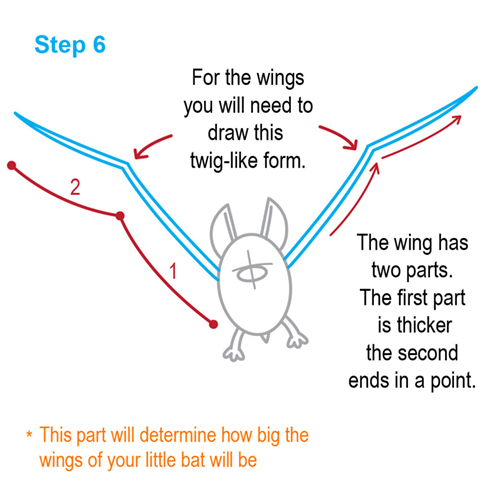 For the wings you will need to draw this twig-like form. The wing has two parts. The first part is thicker, the second part ends in a point. 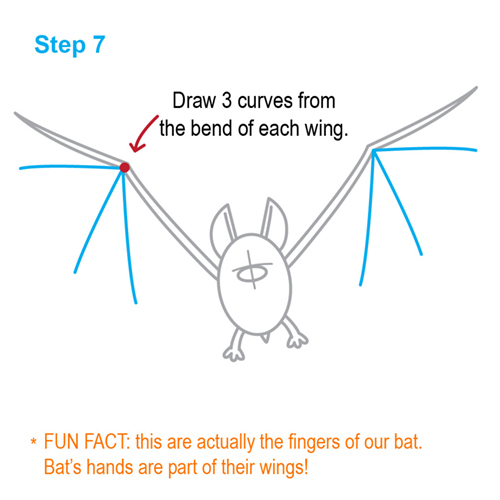 Draw three curves from the bend of each wing. 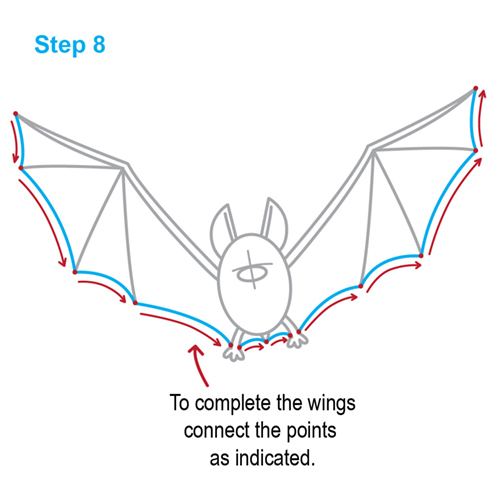 To complete the wings, connect the points as seen on the image. 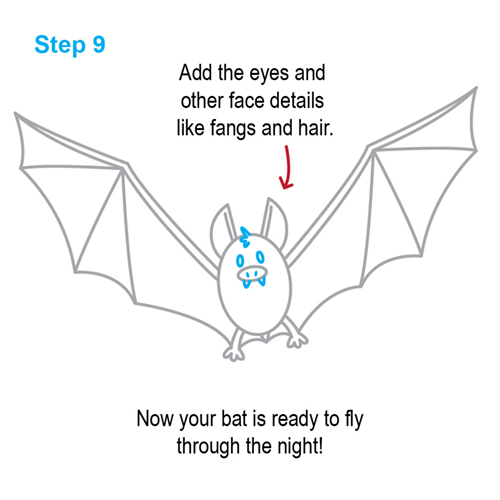 Add the eyes and other face details, like fangs and hair and your bat is ready to fly through the night!